Nowadays, more and more people prefer to outsource their storage to the cloud; however, due to some accidents, cloud storage service providers may lose some data outsourced by the data owners. Thus a mechanism to ensure the outsourced cloud data remaining intact is needed for smoothly running the cloud storage service. Fuzzy cloud auditing protocol is such a mechanism running between data owners and cloud storage service providers. In these protocols, the data owner fuzzy challenges the cloud storage servers on the randomly chosen data blocks with random values, the servers need to response with corrected aggregated tag proof to pass through the auditing process. Until now, there are many fuzzy cloud auditing protocols with various interesting properties. In 2015, Yuan et al. proposed an auditing scheme supporting publicly integrity checking and dynamic data sharing with multi-user modification, which aims at allowing multiple cloud users to modify data while ensuring the cloud data’s integrity. Also recently Yuan et al. 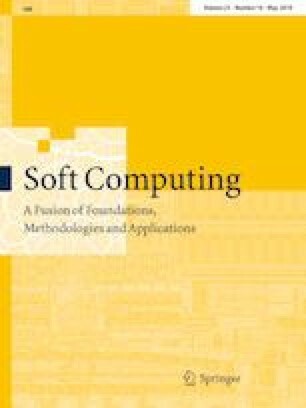 proposed a public proofs of retrievability (POR) in cloud with constant cost, they showed their scheme is the first POR scheme which can simultaneously achieve public verifiability, constant communication and computational costs on users, and prove the security of their scheme. However, in this paper, we show their schemes are not secure, concretely, the tags in their schemes can be easily forged. We also give an improved fuzzy cloud auditing scheme for the data owners. The authors would like to thanks Yudong Liu for some help on this paper. The second author and fourth author are the corresponding authors. The first and second authors are supported by the National Key R&D Program of China under Grants No. 2017YFB0802000, the National Natural Science Foundation of China under Grant Nos. 61572390, U1736111, the Natural Science Foundation of Ningbo City under Grant No. 201601HJ-B01382, and the Open Foundation of Key Laboratory of Cognitive Radio and Information Processing, Ministry of Education (Guilin University of Electronic Technology) under Grant No. CRKL160202. The fourth author is supported by the National Cryptography Development Fund of China Under Grants No. MMJJ20170112, National Key R&D Program of China under Grants No. 2017YFB0802000, National Nature Science Foundation of China (Grant Nos. 61572521, 61772550, U1636114, 61402531), the Natural Science Basic Research Plan in Shaanxi Province of china (Grant Nos. 2016JQ6037) and Guangxi Key Laboratory of Cryptography and Information Security (No. GCIS201610).